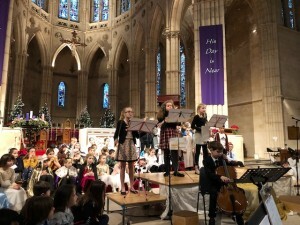 On Tuesday, all of the children in Key Stage 2 took part in a Christmas Service in the Cathedral. Each class showed a section of the Christmas Nativity and told the whole story through acting, singing and dance. 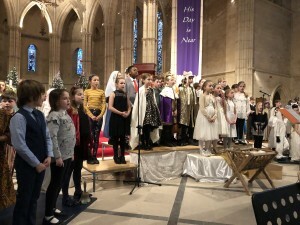 It was a beautiful service and the children’s performances were fantastic. Thank you to Miss Robinson for organising the music, to the teachers for all of their hard work and to parents for helping with costumes and learning lines.